Varicose veins are a medical condition that affects the smaller veins in the body by causing them to be seen under the skins surface. Varicose veins can occur anywhere on the body, however they are most common on the legs and feet. The veins are often small and are not harmful to the body. It is only on occasion that they are detrimental to physical health. Varicose Veins are a result of blood flow in the veins being disturbed by the force of gravity. 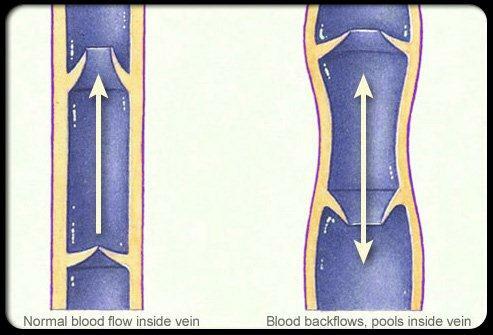 It is the force that the veins endure as they are attempting to circulate blood back to the heart that causes varicose veins. The veins can occur anywhere on the body, however they are most common on the legs and feet, simply because of standing and walking. There are many different procedures that can effectively reduce the various veins if they are detrimental to your health. If you would like more information on preparing for a procedure please download the PDF attachment below. It has information on how to prepare for a procedure, what to expect and what to do after surgery.